HUALONG WDW Series (Single Column) electromechanical testing machine offer small and static load force. 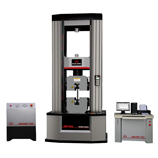 Performing tensile, compression, shear, flexure, peel, tear, cyclic and bend tests. 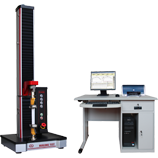 HUALONG WDW series (Dual Space) electromechanical testing machines offer force, displacement or deformation closed loop testing in tension, compression, flexure, shear, tear and peel etc.